Welcome to another edition of ‘lets rave about what’s great in Indy’. But honestly. I have to rave, for this. 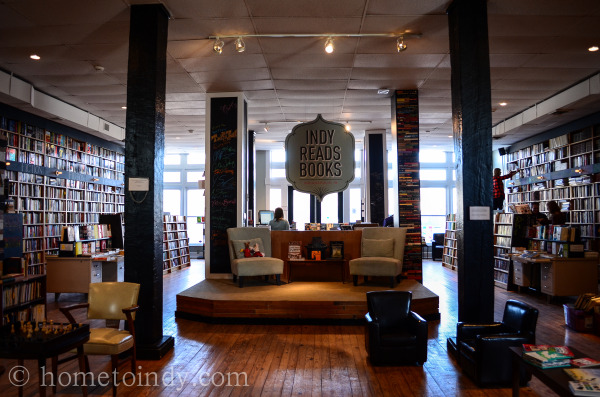 This is Indy Reads and Indy Reads Books. First, let me share that Indy Reads is an NPO literacy program founded in 1984, whose main goal is to “Make Indianapolis 100% literate”. Working primarily with illiterate and semi-literate adults, they provide one-on-one tutoring as well as small group sessions and have also established ESL and “Literacy Labs” at certain neighborhood locations. You can find a great deal more information about them here. 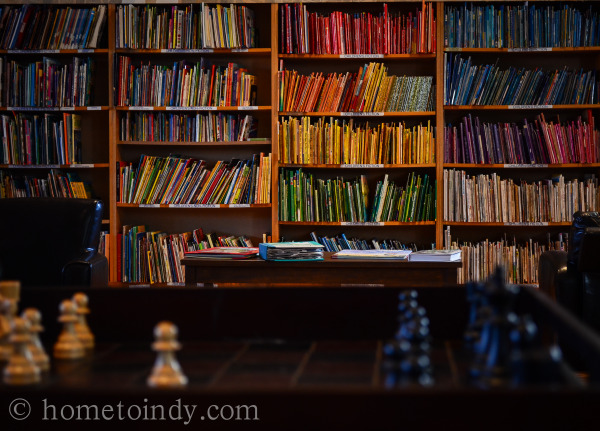 However, one of the most creative and frankly cool things that they’ve done is Indy Reads Books, an independent new and used bookstore, located at 911 Massachusetts Ave. Using the revenue from the bookstore to pump funds into the non-profit which teaches people to read and write, well, I’ve got to tip my hat to the cleverness of this idea. Cleverness is fine, but the real delight is in how well executed the concept is. Acclaimed designer Nikki Sutton is the genius behind the incredible space, and even she was on board with the mission, donating much of her time and talent. Don’t just trust me, see for yourself, but in the meantime, trust me when I say; you will walk in the door and immediately look for a chair. If you like books at all, you will want to stay. This matters, especially in a time when bookstores, and especially the cool indie ones, are playing chicken with extinction. 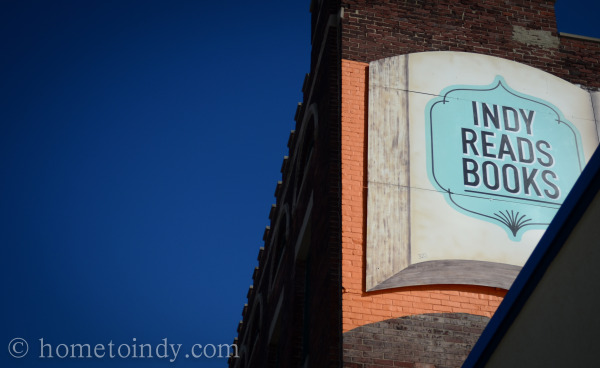 In the face of the struggling print industry, Indy Reads Books has set itself up as a standout. Here are a few reasons why; The low, low cost. I am a shamefully indiscriminate collector of books. I just want them all. My time and money, in no small measure, has been spent in places like Half Price Books and one of the primary reasons I wasn’t an indie bookstore devotee already was that I can’t buy nearly as many books as I’d like at new book prices. 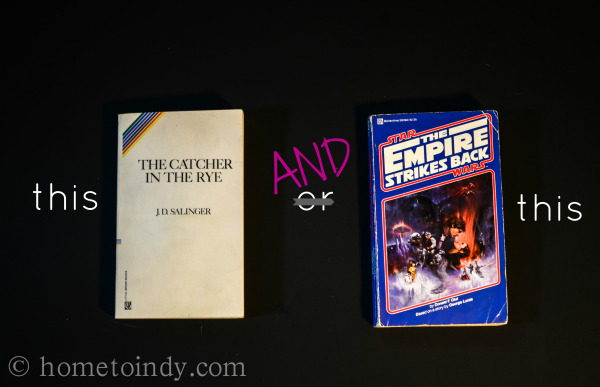 At Indy Reads Books, one gets the best of both worlds. There are walls and walls (and ladders for scaling the walls) of used books, all in the 5-6 dollar range. But if there’s a book you want new, you can have that too. If they don’t have it in stock, they’ll order it for you. Even new books are 20% off. You just can’t go wrong. To that end, next time you’re getting rid of some books (presumably to make room for more) consider donating them to this bookstore. Donations are the lifeblood of it’s existence. Also, lest it go without saying, there is a huge rainbow of children’s books. And those children’s books are all one dollar each. Yes, that’s correct. All of them. The bookstore’s philosophy with regard to this section is; "the mission is more important than the money" when it comes to getting books into the hands of children. All I’m saying is, I can tell you all day long how great it is, but nothing beats going. So, go. 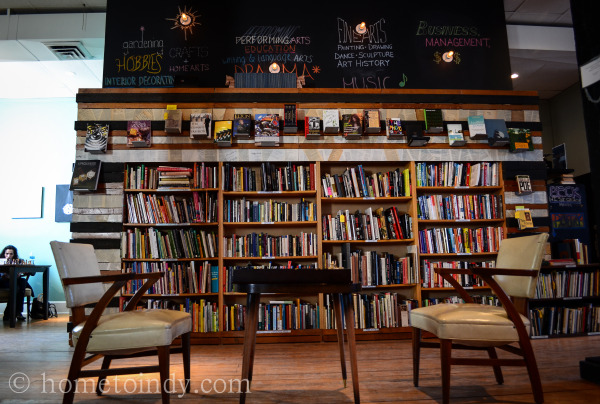 There are chairs and books, cool events and coffee, all waiting. Waiting for you.